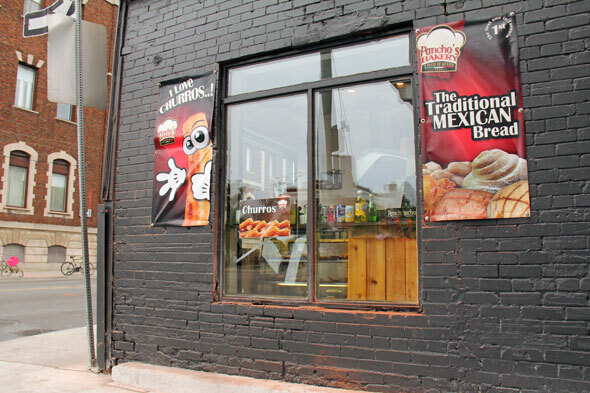 Pancho's Bakery at Dufferin and Bloor is mere steps away from Dufferin subway station, it draws a steady stream of commuters with a hankering for Mexican treats, including Pancho's specialty, the churro. 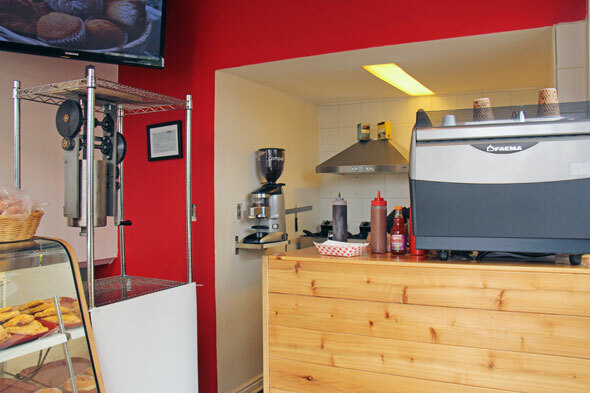 Preceded by a location in Kensington, this storefront is a tiny space without seating room, although there are two seats outside, and a very narrow ledge indoors--which is incidentally just large enough for their checkered churro trays. 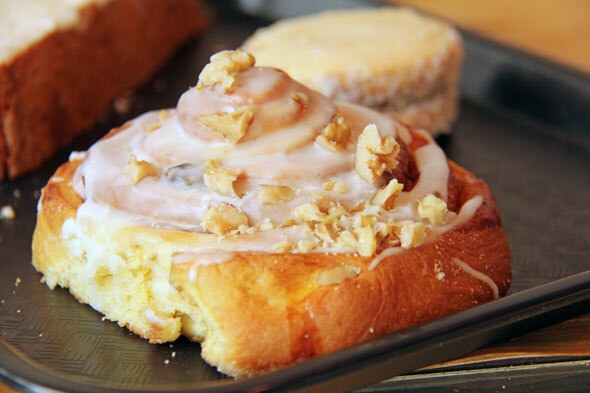 That's all that's needed, as the powerful smell of fresh-baked pastries is sure to lure crowds of commuters. Behind the scenes (and down the red-painted stairs) is where the magic happens. "All the baking is done here," Samora says. 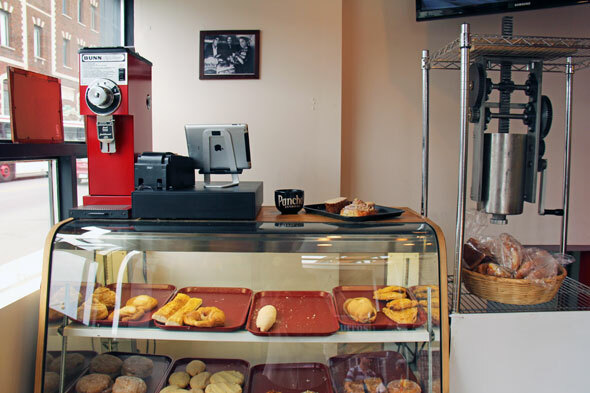 "They start at 3 a.m., and they're ready for 6 or 7 a.m."
Perla Samora was manning the counter when I stopped by, and in fact flagged me down before I even entered with samples of their delectably warm and sugared churros. "We are getting more and more people, business is improving. People are getting to know the place, the products and the quality," Samora tells me. 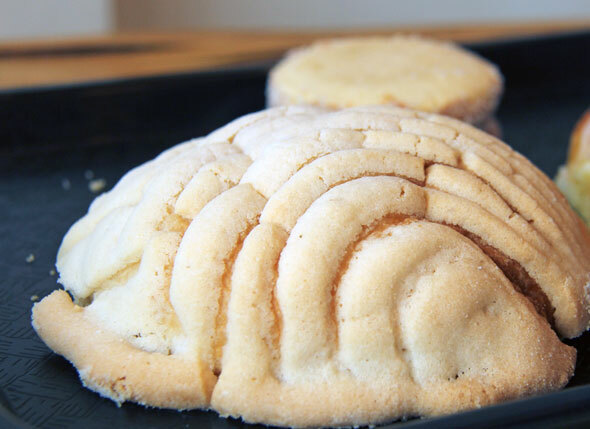 Pancho's boasts original Mexican recipes for their baked goods, including the concha, which is a simple mix of milk bread and vanilla, and is available as $2 for a large, $1.50 for a small, or concha packs--3 large for $5 or 4 small for $5. There are also alfajors ($2), which are essentially white cookies joined together by dulce de leche and sprinkled in coconut--Mexico's answer to an Oreo. It's a very affordable answer for the afternoon ride home, with Mexican donuts and cinnamon cookies available for just $1. They also serve coffee--Americanos are $1.50, cappucinos are $2.50, with espresso coming in around the same range--and pops. Unfortunately, there's no hot chocolate yet. Then there are the churros ($1.50 each or 4 for $5)--narrow, ridged fried dough pastries riddled with sugar, and filled before your eyes with your choice of chocolate, caramel or strawberry (in my books, always go for the caramel). I've been known to absent-mindedly consume them like Twizzlers - although they're essentially donuts, their hollowed out, lengthened shape makes them seem less likely to induce a sugar coma. But don't be fooled - the coma is imminent.